Creative Event Services rolled out several new products this month including one of the best new take home favors for Sweet 16, Bar /Bat Mitzvah and even college and corporate events: The NEW custom cell phone case making station. Custom Cell Phone Case – What does everyone have? A phone! 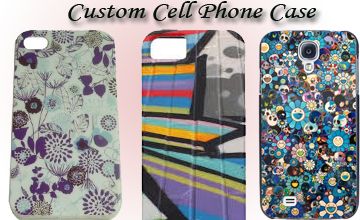 So why not book Custom Cell Phone cases for your next event? They’re a great keepsake to have, and everyone can use it. We have iPhone 4s/5s/5c, Samsung Galaxy S3/S4, and iPod 4/5 in stock. There are also a variety of backgrounds that everyone can choose from. Did you want a custom background? We can help you create a custom background of your choosing. What the process for receiving a phone case? The guest lets the attendant know what kind of phone they have. They then choose their background. The attendant brings them to the Green Screen where they will have their picture taken. Before you leave the event, make sure to stop by the station to pick up your now completed phone case! What a great memory to have. You’ll get to see it every day. Another new line of items that have been a big hit this summer for Corporate outings are the Supersized Classic Games. Your Classic Games are back and bigger than ever! Entertain your guests with some of their favorite childhood games. We have everything from Giant Chess to Giant Jenga. Great for any type of event. Here are few of the latest additions. Giant Chess – Enjoy moving your life-sized pieces with two hands. It’s a lot more fun when the board and pieces are 100x bigger than the original game. Move your rook forward and strive to knock that king over with some force! Great for outdoor events or even bring it inside for a fun time. Jenga – Be careful! The pieces fall over just as easy as if they were three inches wide. Try and be the last one to grab a piece without knocking down the tower. Ten times the size of a normal piece and ten times more fun to play with! Whether it be an indoor or outdoor event. Your guests will have a fun time playing with this classic game. Giant Connect Four – One of the most iconic classic childhood game. Try your best to connect four chips in a row. The game is so large that you’ll have to take a step back to take the full view of the game. Careful you don’t miss anything! Set this game up on the table or down on the ground. Wherever it is, you’ll have a blast from the past when playing this game. Giant Checkers – This Giant Checkers set is great fun at both indoor and outdoor parties, backyards, school and corporate functions, or whatever event you may be having. Challenge a friend to a game of Giant Checkers. It’s a perfect crowd pleaser and the lightweight pieces are easy to move around. All you need is a smooth and level playing area, a few friends, and the fun begins. The NEW 4 Player Ping Pong aka Poly-Pong – Ping Pong is much more fun when you’re playing with four people. It’s not your normal 2 vs 2 but now it’s 1 vs 1 vs 1 vs 1! Protect your territory with your paddle. Everyone’s played Ping Pong but they haven’t played anything like this. Try out the new version of Ping Pong and you’ll never go back to the old game again! LED Up Lights – We have also just introduced a full new light of powerful wireless LED Up Lights for Weddings,Bar Mitzvahs and Sweet 16’s. Proper lighting also allows you to customize your venue’s space and atmosphere to perfectly suit your event. Our LED technology lighting provides you with no limitation to your creativity and freedom of expression. Each one of our lighting units can be programmed to the color of your choice, based on your event decor or overall event color scheme. Highly trained on-site event light technicians are included with almost all of our lighting packages. For the fall we will be running special LED Up lighting packages/rentals in Boston, New York, Hartford, & Providence.